Summer is a great time to head outdoors and look at the sky. During the day, the skies are blue and the white billowing clouds are so pretty. At night, the stars twinkle in the sky like diamonds. My kids always loved learning about the planets and the moon and sun. They loved imagining they were astronauts traveling to far off planets. What kind of creatures would they encounter out there? 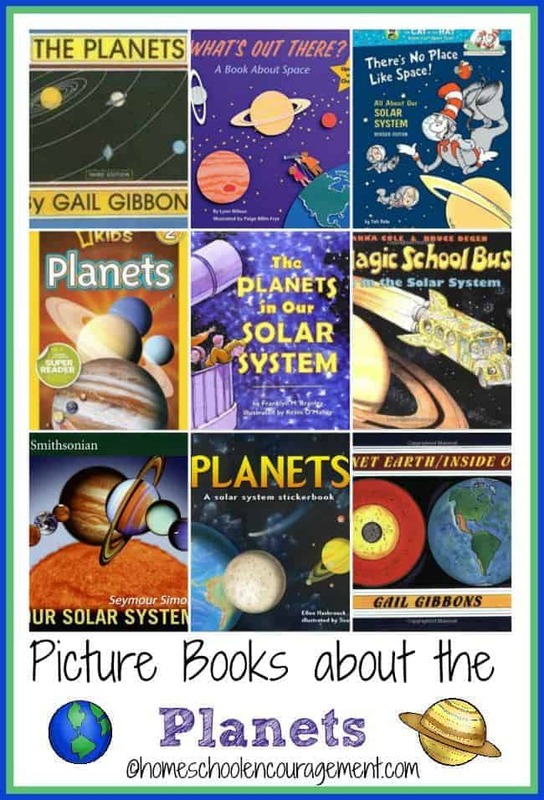 Teach little ones about the planets in our solar system with these fun learning activities and hands-on projects. Use toilet paper to teach children the distance from the sun to the planets. Make a model of the solar system. Demonstrate how the planets orbit the sun. Make and eat a solar system snack. LEGO lovers will love this LEGO solar system model. 3-part cards: These cards can be used in a variety of ways. My favorite way to use them is to cut them apart. Introduce each planet with the picture/word cards. Once children are familiar with each card, use the cut-apart word/picture cards in a matching activity. Have the child match the planet to its name. Then, use the “whole” card for self-checking. Handwriting pages: Each planet (and the sun and moon) has its own handwriting page. Not only will kids get a little extra handwriting practice, they will also practice spelling each planet correctly. Report pages: Each planet (and the sun and moon) has a report page. Use these however you like. You can use them for copywork. Kids can take notes on interesting facts while you teach. Kids can read books and use these pages to write their own science reports. 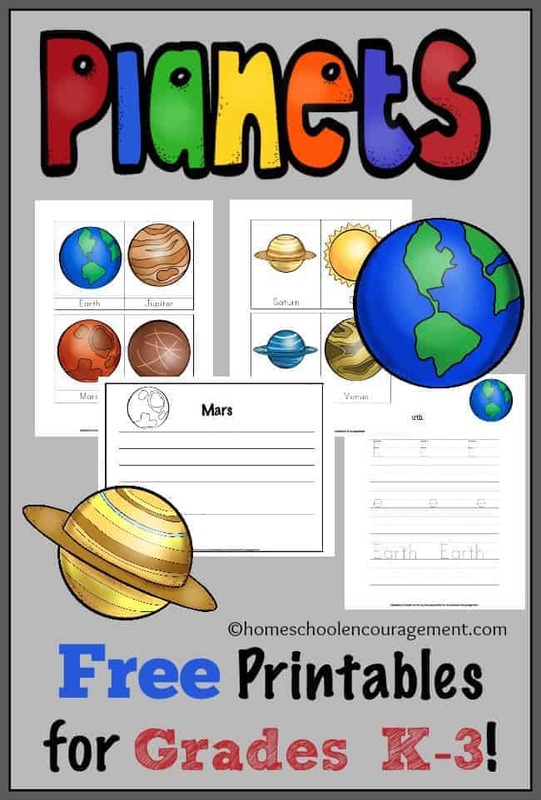 Click here to download your FREE Planet Pages.